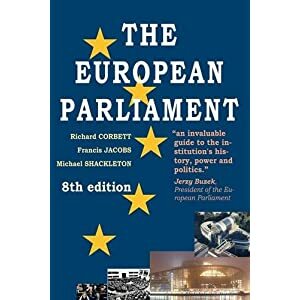 You do really wonder whether all those self-appointed “experts” on the EU are more in tune with Kenneth Clarke – he who never read the Maastricht treaty – than they are with reality. That might possibly explain Booker’s observation in his column today, where he remarks that: “Rarely can so much vapid political nonsense have been expended on any subject as that we have recently heard from all sides about an EU referendum”. 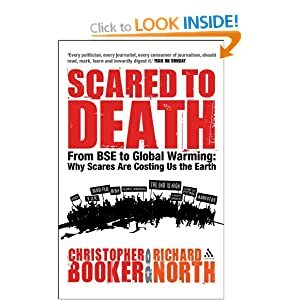 Putting together our best assessment of a fluid situation, Booker asserts that, whatever David Cameron and Lord Mandelson may say, the referendum is not something that can simply be pushed away into the indefinite future. On the Continent, the talk is that, despite the fiasco of the recent “summit”, there urgently needs to be another major treaty, which would be so far-reaching in its moves towards political union. Should this come to fruition, thanks to Cameron’s “referendum lock”, Britain would be one of many countries obliged to hold a referendum. Meanwhile, in Britain all the relentless chatter has only demonstrated, again, the astonishing ignorance on this side of the Channel about the real nature of the “European project”. 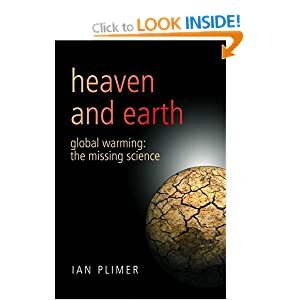 Two arguments in particular are often heard – each based on a fundamental misconception. One is that we need a referendum because today’s “Europe” is so different from the one we joined in 1973. The other, encouraged by Cameron himself, is that in due course we can negotiate a new relationship with it, involving a “repatriation of powers”. The Common Market we joined was never intended to be anything but a staging post on the way to eventual political union, as the politicians who led us into it were fully aware. 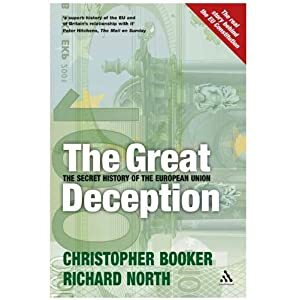 When Booker and I were researching our history of the project, some years ago, we were able to document in detail how, as far back as 1961, Harold Macmillan and Edward Heath were left in no doubt that political union was the ultimate goal. 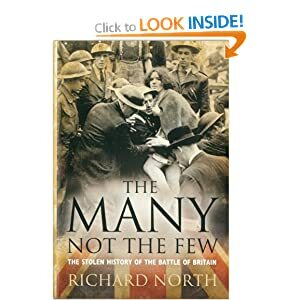 But, as Cabinet papers of the time reveal, Macmillan was convinced that the British people would not accept this, and that it must therefore be sold to them as no more than a trading arrangement. 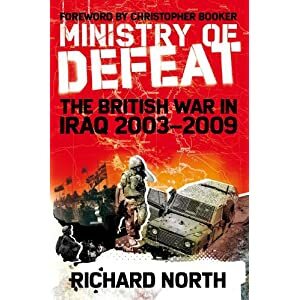 This was one reason why we called our book The Great Deception – an epithet that is even more appropriate to the time, a decade later, when Heath finally secured Britain’s membership, assuring us that it would involve “no essential loss of sovereignty”. 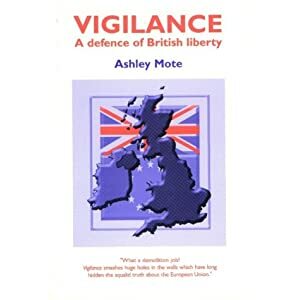 Many people did indeed fondly imagine that we were merely joining a “free trade area” – but only because they were being deliberately deceived. 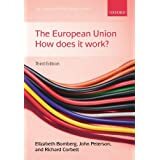 Heath knew full well that the Common Market (in fact a tightly regulated customs union) was only a preliminary step towards the “ever closer union” that we have seen taking shape since – of which the euro was designed to be the supreme symbol. 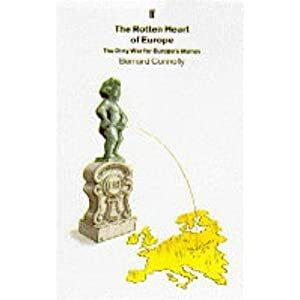 The project’s core doctrine has always been the acquis communautaire: the rule that once powers are handed over to Brussels they can never be given back. That is why it is futile to talk of Britain negotiating a “new relationship” with Brussels involving repatriation of powers. It cannot happen, because it would be in breach of the project’s most sacred principle. There is only one way in which we could force the other EU states into negotiating a new relationship for Britain. If our politicians, led by Cameron, were actually to read the treaty, they would find this power under Article 50, inserted at Lisbon: such a negotiation can only be triggered if we notify the EU that we wish to leave it. Then, and only then, would our EU colleagues be compelled (rather than “persuaded”) to enter into the negotiations necessary to establish our “future relationship with the Union”. As we have said before, the very last thing Cameron could countenance is notifying the EU that we wish to leave it – even though the alternative is that, under a new treaty, we would remain impotently in the second tier of an EU wholly controlled by the eurozone. But unless all the Tory MPs clamouring for the “repatriation of powers” grasp the crucial importance of Article 50, talk of a referendum on a “new relationship” with the EU is just self-deceiving fluff. Either we go for Article 50, or we are doomed to become second-class European citizens – that is, until the EU itself disintegrates, because it is incapable of finding a rational solution to the stupendous shambles that its reckless ambition has led it into. 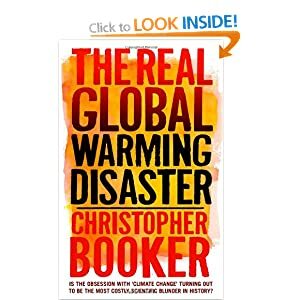 That is Booker’s conclusion but, so deeply embedded is the self-deception and ignorance within the Conservative party, that it is hard to see any immediate changes or better understanding of the situation. Cameron, therefore, is condemned to surrender the initiative and to react to situations over which he has no control. We have no idea when (or if) the “colleagues” will succeed in finalising their new treaty, but the best estimate is that it will come about at roughly the same time the British general election is under way. Thus, Cameron will be forced to hold a referendum, on the “wrong” issues at the wrong time, under circumstances which could be electorally damaging unless managed with a great deal more skill than he has so far shown. For reasons I explored earlier, this early referendum cannot be an “in/out” referendum, and could have to be so framed that Cameron is forced (or wishes to) support the EU position. The more I think of this, the more impossible the position seems to become. The best way is to invoke an early Article 50 notification and opt out of the new treaty negotiations and ratification. To do so, though, would require political courage and clarity, two attributes for which Cameron is not famous. But, for want of action, he risks allowing himself to be trapped in a position from which there is no escape. 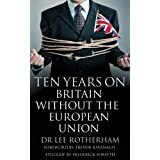 Perversely, then, the escape route lies in the Lisbon treaty, the very treaty on which he promised a referendum and then resiled. How ironic it will be if ignoring that same treaty proves to be his downfall. 50. Declaration concerning Article 10 of the Protocol on transitional provisions The Conference invites the European Parliament, the Council and the Commission, within their respective powers, to seek to adopt, in appropriate cases and as far as possible within the five-year period referred to in Article 10(3) of the Protocol on transitional provisions, legal acts amending or replacing the acts referred to in Article 10(1) of that Protocol. Here we go with EUroSpeak! 2. A Member State which decides to withdraw shall notify the European Council of its intention. 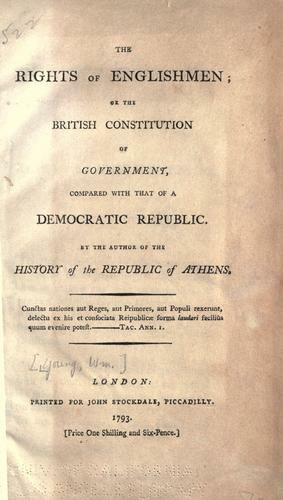 account of the framework for its future relationship with the Union. procedure referred to in Article 49. For your further confusion and obfuscation there is a further Article 50 on page 69 and possibly others! They are not however those that you are looking for! 2. The Government of any Member State, the European Parliament or the Commission may submit to the Council proposals for the amendment of the Treaties. These proposals may, inter alia, serve either to increase or to reduce the competences conferred on the Union in the Treaties. These proposals shall be submitted to the European Council by the Council and the national Parliaments shall be notified. of the governments of the Member States as provided for in paragraph 4.
conference of representatives of the governments of the Member States. be made to the Treaties. with their respective constitutional requirements. 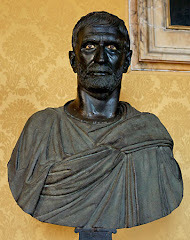 with ratification, the matter shall be referred to the European Council. approved by the Member States in accordance with their respective constitutional requirements. the Union in the Treaties. subparagraph shall not apply to decisions with military implications or those in the area of defence. be given by a majority of its component members. To overlook negotiation, in detail, of Britain’s, now seemingly inevitable, exit from The EU under the terms of Article 50, as explained above would not only be a breech of The Vienna Convention on international treaties but gross and irresponsible folly. 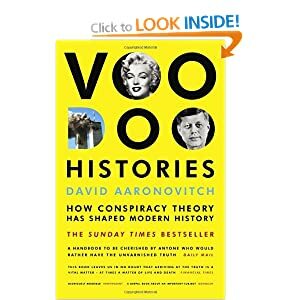 “Any such discrimination against Britain when we Leave-The-EU would be illegal under the provisions of the World Trade Organisation (WTO), of whose predecessor the UK was a founder member in 1948”. As I recall amongst others who have fallen into this trap are Neil Kinnok and Nigel Farage and thus it has become something of a mantra amongst the less well informed members of the EUroSceptic movement! Referring to the WTO website, which can reasonably be taken as an authority on this issue, it does tell us that, under the WTO agreements, countries cannot normally discriminate between their trading partners. To grant someone a special favour (such as a lower customs duty rate for one of their products), the WTO site states, and you are obliged to do the same for all other WTO members. The WTO site goes on to say, “some exceptions are allowed”. Such as, “countries can set up a free trade agreement that applies only to goods traded within the group — discriminating against goods from outside”. Thus it could not be clearer that the simplistic mantra of the less informed EUroSceptics and even those in Government, who should know better, does beyond any reasonable doubt give the lie to the simplistic exit plan! – Countries within a free trade area (for instance) can have preferential arrangements between themselves, which are not available to countries outside the area. 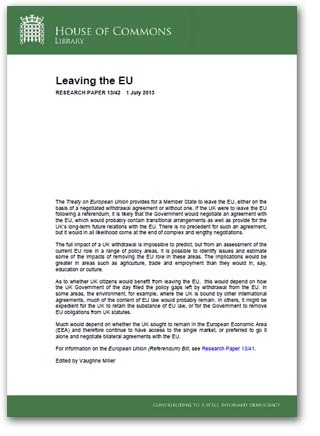 This, the WTO site tells us, is accommodated by an updated “understanding” to the original GATT Article XXIV, agreed in 1994, a provision which covers “Regional Trade Unions”, of which the EU’s customs union is clearly one. What this means is that the EU can – and does – have preferential arrangements which apply only to member states, and which do not apply to countries outside the EU – unless they too have a free trade arrangement with the EU. The simplistic mantra about the EU and Britain’s exit simply isn’t true. Should the UK leave the EU, without negotiating a new agreement, for which there is very clear guidance under Article 50, we would no longer be part of the customs union, nor part of any free trade agreement. Thus, the UK would no longer benefit from any of the preferential arrangements which applied to members of the respective “clubs”. 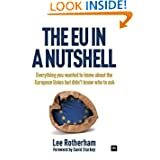 Outside the EU, the UK could, and most likely would, be treated exactly the same as any other country which was not part of the customs union, or member of a free trade agreement. Our exports would be subject to stringent controls at the point of entry to the EU (and the EEA generally), tariffs would be payable, where applicable, and non-conforming products would be rejected. 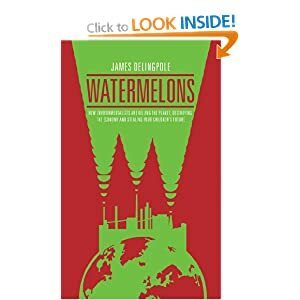 In June 2013 you will have noted the imposition of tarriffs by the EU against China, over their supply of relatively inexpensive solar panels, a protectionist move which risks a full blown trade war! Britain, should we seek to Leave-The-EU without compliance with Article 50 would, effectively, be treated exactly like Iran, China or North Korea. This would not be actionable discrimination, despite the simplistic mantra of the irresponsible.